» The High Sierra Swerve Backpack: Is This the Pack You’ll Love? The High Sierra Swerve Backpack: Is This the Pack You’ll Love? If you’ve been buying your daily use or travel backpacks from cheap big box stores, save yourself the money and trouble. 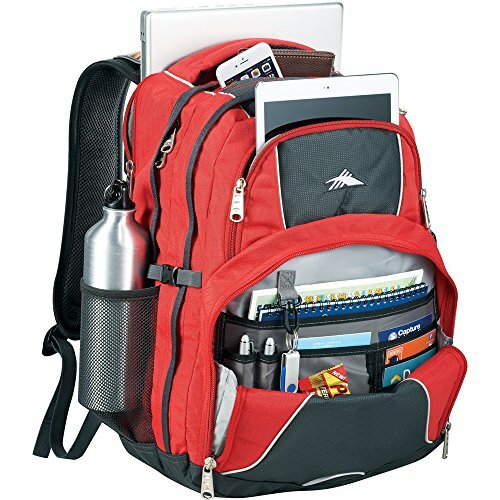 High Sierra may be best known for their bags made for outdoor activities but they also have an excellent line of lifestyle and laptop backpacks as well. You’ll get the same quality of a serious hiking bag from this well-known brand but made for everyday use. The Swerve is an excellent example of a bag that can handle the rigors of daily use or student life and look good doing it. You’ll get everything you could want in a backpack – laptop protection, ample space for your stuff, and numerous pockets to keep things organized all wrapped up in tough Duralite construction. The Swerve backpack has a few notable features. Before getting into why this backpack is such a great option, here are the details of this model. The Swerve isn’t a super technical backpack but its design really makes it stand out from other casual-use bags of its kind. 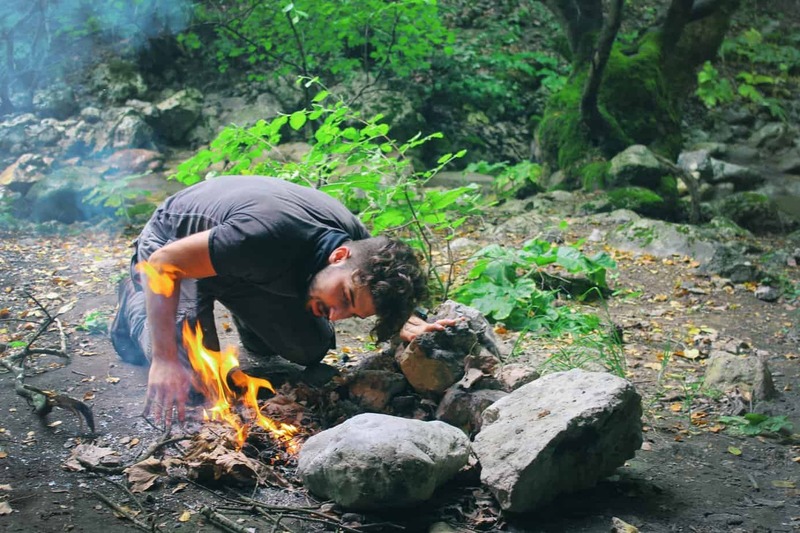 It offers a few different advantages of similar backpacks from other brands. High Sierra is known for high quality backpacks and the Swerve is definitely built to last. It is priced very reasonably as well. The 600D Duralite fabric is going to keep your gear dry and is also resistant to rips, abrasions, stains and other damage. The 500D waffle weave is also a ripstop nylon with a water resistant treatment. Overall the Swerve looks as great as it performs. The suspension system can handle a fair amount of weight and the Airflow shoulder straps are definitely not fragile. The shoulder straps are also S-shaped and contoured for maximum comfort. Other attention to design details that really make this backpack user-friendly and a bit luxurious include the compression straps for cinching down your gear, a mesh padded handle for carrying, swivel clips and thumb ring pulls for shoulder strap adjustment. Laptops may be more durable now than ever before but you still don’t want to have yours banging around inside of a backpack all day. The Swerve offers excellent laptop protection in two ways – padding and isolation. The interior laptop sleeve, which is accessed through the back, is completely padded and able to safely carry up to a 15.5″ laptop (outside dimensions). Being its own compartment is an excellent feature because it protects the laptop from scratches or other damage that could be caused from gear sharing the same area. The bottom of the Swerve is padded for additional impact protection. Obviously, you’re not going to want to throw any backpack around with a laptop inside, regardless of how much padding it has, but with the Swerve you can rest assured that your computer will be protected from normal use. There are a crazy number of different compartments in the Swerve which makes it perfect as a travel or everyday casual work/school backpack. On the left shoulder, there is a small pouch for a cell phone or other small electronic device. You could even put a smaller pair of sunglasses in it. There are double water bottle pockets, one on each side, that you should store other items in. On top of the backpack, you will find another zippered media pocket with a headphone port. The bottom of the backpack there is a large zippered pocket which opens up to a large compartment with numerous little pouches, another zippered pocket, and a key fob. 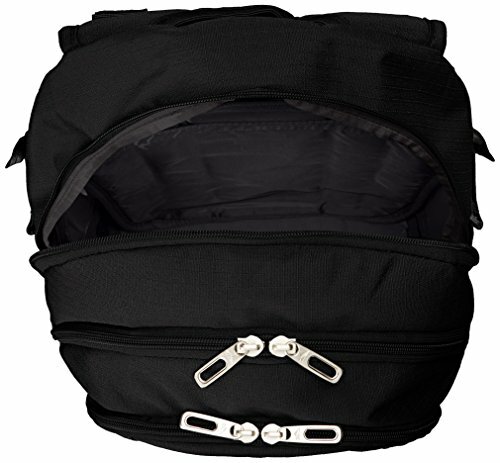 Finally, the main front zippered pocket is the main backpack storage space. Through this main pocket, you can access the zippered laptop pouch in the back. Some people will love being able to organize every little thing while others might find the numerous of compartments to be excessive. Whichever way you look at it, the Swerve definitely will keep your gear organized. When it comes to how much padding a backpack should have, some think more is better but that isn’t always the case. There is actually a fine line between too much padding and too little, and the Swerve is ideal. The shoulder straps have enough padding that you can carry your laptop, some books and other gear without it feeling like it’s cutting in. It is comfortable enough that you can wear it for prolonged periods of time without stress on your shoulders and back. There also isn’t so much padding that the backpack straps squish or slide around on your shoulders which can cause chafing. Padding aside, the overall suspension system of the Swerve is comfortable because of the Airflow mesh used. This keeps your shoulders and back cool, even in warm weather. Majority of user reviews of the Swerve are positive, but there are two complaints that can be found. Many users find that the Swerve can’t handle a ton of weight, which isn’t surprising since this isn’t a bag made for overnight backpacking or traveling with a really heavy load. High Sierra doesn’t have a weight limit listed for the Swerve but you can expect it to comfortably carry what a typical quality casual or day use backpack could. If you try to carry 30lbs of gear it would be no surprise that you’d experience soreness. If you use the Swerve for it’s intended purpose, a school/work/travel backpack for light gear and a laptop, you won’t have this problem. This second disadvantage is more of an annoyance than a real problem but still worth considering if you are comparing this backpack with another. There are two mesh pockets on the Swerve designed to pack water bottles. Unfortunately, it can only carry an average 16oz bottle. 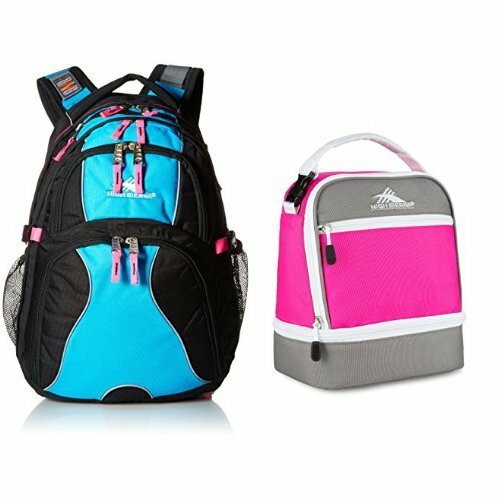 If you are an active individual or are buying this backpack for day hikes and use the popular 32 oz. size Nalgene (or comparable) bottle, it isn’t going to fit. You’ll either have to buy different bottles, carry them in the main compartment of the bag or just carry on by hand. The Swerve is an excellent all-around backpack for traveling, exploring/hiking during the day, school and work. Like most High Sierra backpacks it is made to last and can handle a lot before you start seeing wear. If you’ve been looking for a casual/travel bag that will keep your laptop safe and all your gear organized perfectly, this one will leave you very happy.